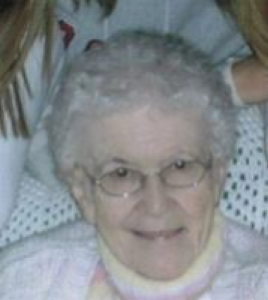 Rose Mary Ahrns, 76, 6802 N. Main St., Pemberton, Ohio died at her daughter, Ruth Gallager&#39;s residence at 120 Queen St., Sidney, Ohio on Saturday, September 20, 2008 at 9:15 AM after an extended illness. She was born May 23, 1932 in Chickasaw, Ohio the daughter of Matthew and Ruth (Zahn) Ronnebaum and they are deceased. She was married April 11, 1953 to Bernard Ahrns and he survives along with six children, Ruth Gallager of Sidney, Ohio; Barbara Mears of Sidney, Ohio; Linda Watkins of Jamestown, Ohio; Herman Ahrns of Connersville, Indiana; Irene Yonker of Greenville, Ohio and Robert Ahrns of Pemberton, Ohio; 23 grandchildren, 24 great-grandchildren and one brother, John Ronnebaum of Chickasaw, Ohio; One son, two sisters, two brothers and two grandsons are deceased. She was a member of the Eagles Auxiliary; a member of Holy Angels Catholic Church where she had been a lay distributor, Rosary Altar Sodality, and the prayer group. She was employed at Copeland Corp. in Sidney in assembly for ten years retiring in 1983. A Mass of Christian Burial will be held on Wednesday, September 24, 2008 at 10:30 AM at Holy Angels Catholic Church with Rev. Jason Bedel. Burial will be at St. Michael&#39;s Cemetery, Fort Loramie, Ohio. Friends may call at Salm-McGill and Tangeman Funeral Home in Sidney on Tuesday, September 23, 2008 from 4-8 PM. Memorial contributions may be made to Wilson Hospice, 1081 Fairington Dr., Sidney, Ohio 45365. Envelopes will also be available at the funeral home.